Mercedes-Benz AMG. Now available at Arnold Clark. AMG, the high-performance brand from Mercedes-Benz, is now available at Arnold Clark Mercedes-Benz branches throughout Scotland. AMG brings together sporty dynamism and high-quality finishing with all the advantages of a series production vehicle made by Mercedes-Benz. One Man, One Engine Philosophy. Mercedes-Benz AMG only delivers top performance engines, thanks to a manufacturing process that is extremely precise and meticulous. 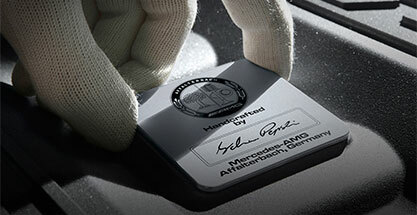 Every single engine is assembled carefully in Affalterbach, Germany, by one and the same AMG technician. The complex process is subject to stringent quality controls, and only materials that have been carefully checked are allowed into the production facility. "You can't really make a Mercedes better, you can only make it different." 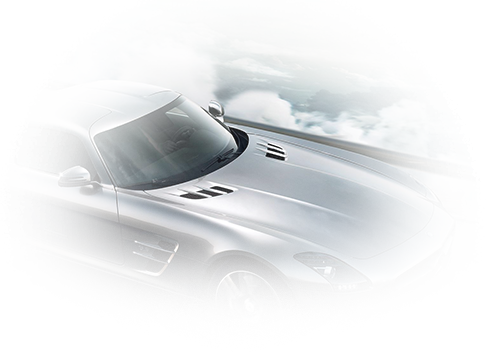 The main thing that makes an AMG stand out from the crowd is what lies underneath, but let's start with the obvious. 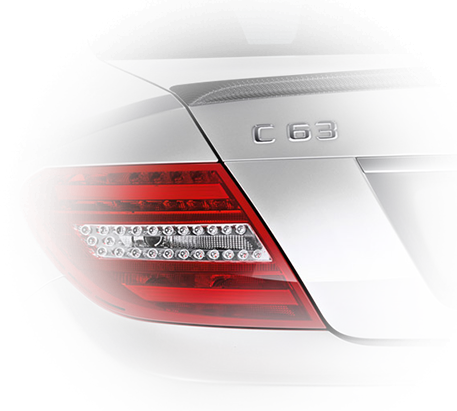 At the rear of the car, the AMG lettering and the numbering scheme uses a 2 digit designation for the model (e.g CLS 63 or SL 65). 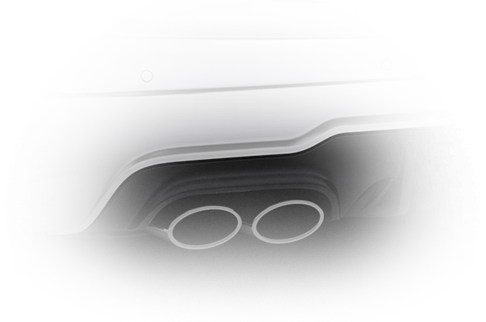 Next is the double exhaust tailpipes, which not only visually distinguish the vehicle, but also bring to life the growl of the AMG engine. The sporty design doesn't just finish with the tailpipes and prominent side skirts, but continues to the front of the car, with the large air vents shaped in the form of an "A", revealing the engine's increased need for air. 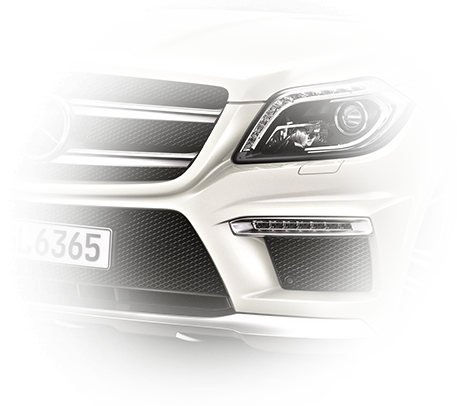 AMG cars also have two distinct bulges on the hood, making room for the enormous V8 or V12 engine concealed inside. AMGs are also fitted with larger wheels and larger wheel arches to cope with the high performance engine and to provide more grip. Mercedes-Benz AMG high performance vehicles stand apart from the pack, but a personalised AMG vehicle can stand apart from the most elite vehicles on the road. The AMG Performance Studio allows drivers to see their dream cars come to life and creates genuinely unique cars with the most precise craftsmanship. From two-tone leather sport seats, to carbon-fibre mirrors, AMG-branded alloys and Bang & Olufsen sound systems, the "Factory of Dreams" will really exceed any driver's expectations. Our stylish AMG showrooms in Aberdeen, Dundee, Grangemouth, Inverness and Perth are the perfect setting for you to be inspired by the wide range of equipment and fitting options available to personalise your new AMG. Using colour charts and leather samples, the possibilities for customising your car are endless. 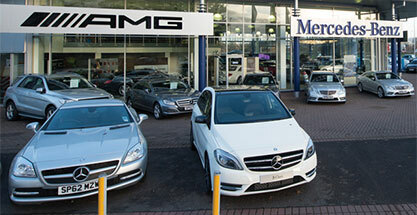 Contact your local branch to discover more about AMG at Arnold Clark.